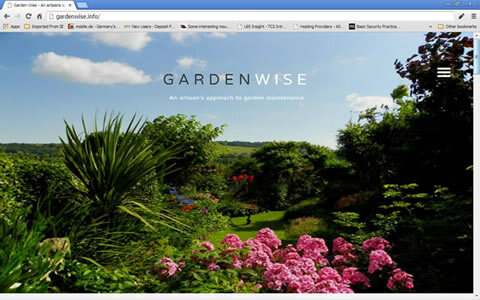 This client, an award winning gardener, chose ambit-solutions for his very first website - a modern single page site that looks good on any device. Bimota are manufacturers of the world's most prestigous motorcycles - hand built in Italy to the same standard as their World Championship winning racebikes. 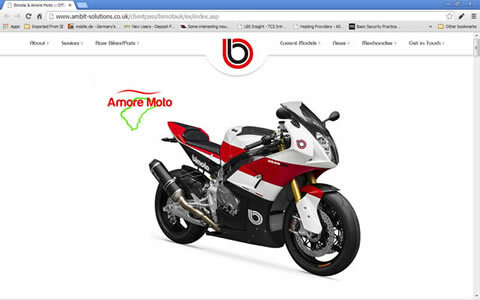 The UK Importer, Amore Moto, asked Ambit-solutions to design and build a website befitting the marque. They are delighted with the result, and have seen a 10 fold increase in their site visitors. 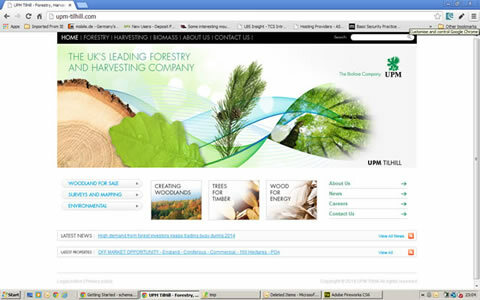 We have worked with UPM Tilhill (The UK's leading forestry and harvesting company) for over a decade, providing a public web site and also many bespoke web applications for the management of staff/forests/transportation and safety etc. 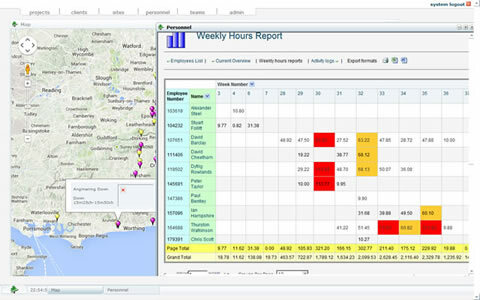 One notable app controls Network Rail's annual leaf clearance operations. Ambit is an award winning, web-based, business management tool, structured around an intuitive map interface. 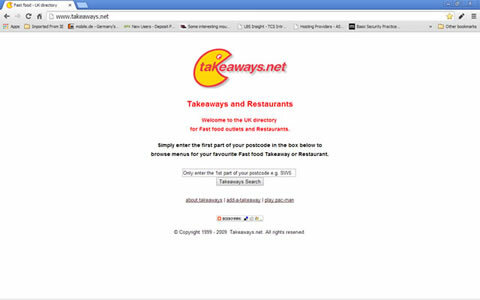 Launched around the same time as the BBC's first web site, Takeaways.net was the forerunner to just-eat, and the first web site we created. Now in its 15th year, it still has a place amongst todays internet users, offering a Pac-Man game to play whilst your order is delivered. 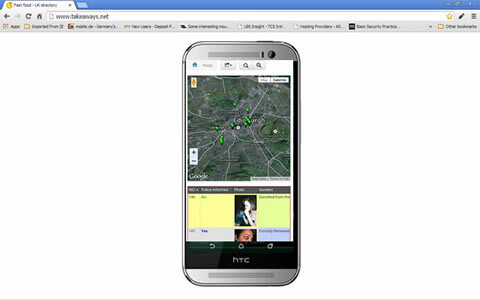 In collaberation with Glasgow Community Safety Services, and launched to coincide with the 2014 Commonwealth Games, this Android and iPhone app provides a real-time safety and security service for licenced premises throughout Glasgow and Edinburgh. The 'Timecard' app is suitable as a standalone app for time and personnel management, but only when used to power the Ambitdatamapping system can you really begin to explore the full benefits of this simple user interface. We are passionate web designers and developers, creating fresh, fully responsive and modern websites for businesses of all sizes. Design isn't just about the look and colour, it's about feel and usability. 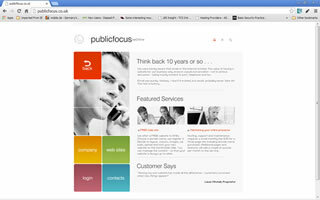 We can create a clean, fresh, beautifully simple and usable website that your customers will love. 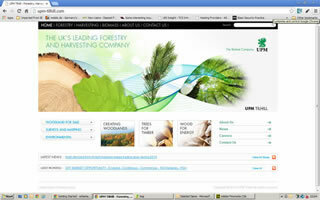 Maybe you're looking to have a website for the first time, or your existing site needs a revamp. Maybe you don't know any web designers, or you're not comfortable with the ones you do know - we can help. We can work to your budget and would love to have you as a new client. From mobiles to desktops with tablets and laptops in between, your website needs to work on them all. Our fully responsive sites know the screen size automatically and re-arrange or scale to work on any device. ALL our sites are built using the latest web site programming language, html5, developed for todays internet and delivering the same user experience on mobile browsers, tablet browsers, or desktops. We can create "an app for that", on any platform, Android, iPhone or Windows Mobile. Your app can be a great way to engage with your clients, or notify users of recent updates to your web site etc. We have the skills and experience to program any special needs - Mapping, e-commerce, information dashboards or backend systems. 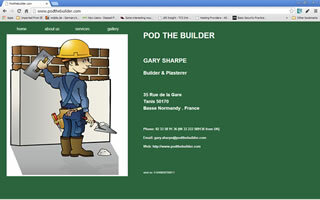 A standard website can be built for as little as £500. We use the same solid foundation framework as many of the internet's biggest websites, which allows us to easily extend your site as necessary, without having to rebuild it from scratch. 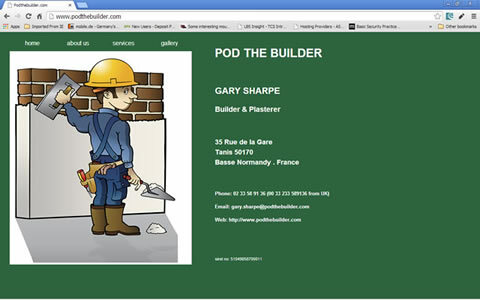 A fully responsive site is compatible with all mobile browsers, tablets, ipads, and desktops. 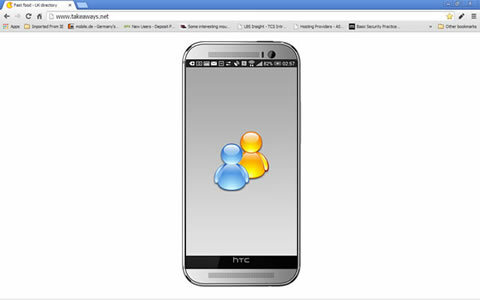 The website detects the device automatically and instantly reconfigures itself for the best display. Prices start at £1,500. Fresh is a fully responsive, modern one page template. It contains all basic features for your content. It's full of fresh colors which can attract users. All images are included in theme and there are free to use and modify. Or there is also possibility to use your own background images too. Template is available in 2 variations. First variation with background images and second with colour gradients. You can choose which one fit for you better, or you can simple change colors and gradients in less file. Or you can change provided images with your own. Template contains multiple features. For example 2 alternatives for carousel, images gallery, animations, form with validations and others.